Riding Morrison’s big bat, Questionable Outfit took a commanding 3-1 lead in their best-of-seven Wiffle Series matchup with Cookies & Cream, and sit one game away from winning the title after beating their rivals 8-4 in game 4. Morrison set the place for Questionable, going 4-for-6 with a double, 3 home runs, 4 runs scored, and 4 RBI in a game that was never in question. Guthrie, who had missed games one, two and three, started on the mound for Cookies & Cream in game 4. He had had modest success against Questionable Outfit throughout the year, but he was hit hard early in this outing. He retired the game’s first batter, Tom, before giving up a one-out double to Bob. The next batter, Morrison, doubled off the fence to score Bob and put Questionable ahead 1-0. Reilly followed with another double, scoring Morrison to make the score 2-0. Guthrie then retired Tom for the second out of the inning, and Cookies trailed by two runs early. Questionable Outfit selected Bob as their game 4 starting pitcher, and he was coming off a narrow defeat in a decent game 2 outing. He gave up a one-out single to Dinger in the bottom of the first, but stranded him, maintaining the 2-0 lead. Questionable would add to their lead in the top of the second. Guthrie retired Bob to start the inning, but the next batter, Morrison, crushed a solo shot to left, putting his squad ahead 3-0. Reilly followed with a single, and Tom drove him in with a towering two-run bomb to left. Guthrie would retire Morrison after Bob hit a one-out single, but Questionable Outfit had opened up a 5-0 lead. Joey led off the bottom of the third with a triple, but Cookies & Cream couldn’t capitalize, as Bob retired the next two batters to strand the runner, and the score remained 5-0. Reilly singled to lead off the top of the third, but Guthrie was able to pitch his first scoreless inning, retiring the next two batters to strand the runner. Bob cruised through the bottom of the third, retiring the side in order. Morrison continued to swing a hot bat in the top of the fourth, leading off the inning with a solo shot, his second of the game. Guthrie would send down the next two hitters, but Questionable had pulled ahead 6-0. Bob retired Joey for the first out in the bottom of the fourth, but Cookies & Cream would finally get on the board with one out. Vassallo came to the plate and crushed a solo bomb to left, making the score 6-1. Cookies couldn’t rally though, as Bob retired the next batter to end the inning. It wouldn’t take long for Questionable to extend the lead back to six runs. With one out in the top of the fifth, Morrison hit another solo homer, his third of the game, making the score 7-1. Guthrie wouldn’t allow any other runs in the inning, but Cookies once again trailed by six. Cookies & Cream got a small rally started in the bottom of the fifth. Dinger led off the inning with a solo homer, cutting the deficit to 7-2. The next batter, Blose, also went deep, and the back-to-back homers made the score 7-3. Bob would retire the next two batters to end the inning, and the Questionable lead had been cut to four runs. Questionable got one of the two runs back in the top of the sixth, when Tom led off the inning with a solo blast, his second homer of the game. Guthrie retired the next two batters, and Questionable would head into the bottom of the sixth with an 8-3 lead. Down to their final two outs, Cookies & Cream would need a big comeback effort to avoid falling into a 3-1 hole in the Wiffle Series. Bob retired the first batter, Guthrie, but the next hitter, Dinger, launched a solo homer to left, his second of the game, making the score 8-4. But the rally ended there, as Bob got Blose to fly out to center for the second out of the inning, ending the game and giving Questionable Outfit a big game 3 win. The win put Questionable Outfit ahead 3-1 in the Wiffle Series, only one win away from clinching their first title in franchise history. – Bob pitched the complete game win for Questionable Outfit, allowing 4 runs on 6 hits in 6 innings pitched. – Guthrie took the loss for Cookies & Cream, giving up 8 runs on 11 hits in 6 innings. – Morrison carried Questionable Outfit on offense, going 4-for-6 with a double, 3 homers, 4 runs scored, and 4 RBI. 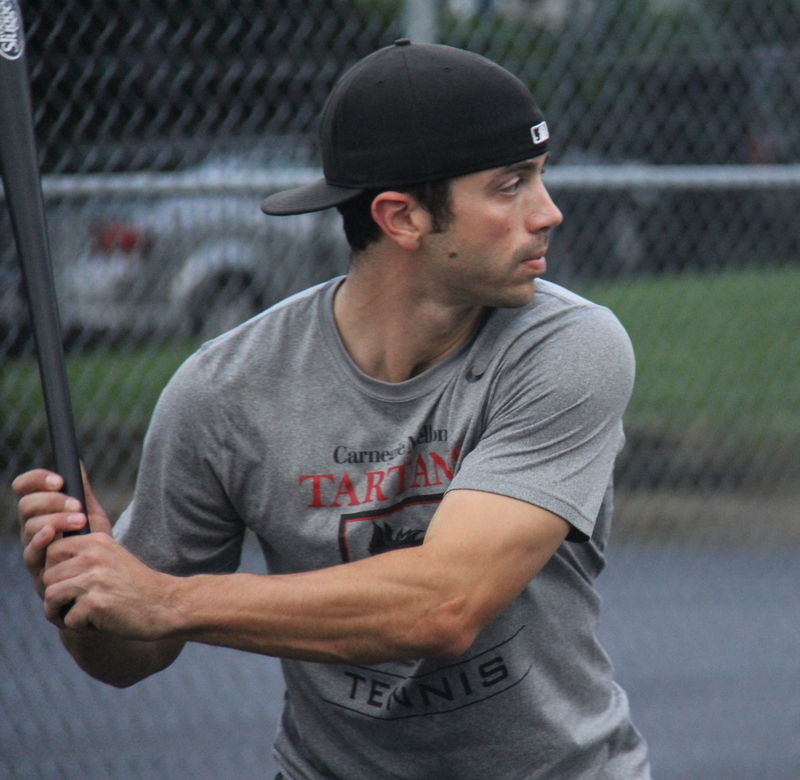 – Tom also went 2-for-6 with 2 homers, 2 runs scored, and 3 RBI. 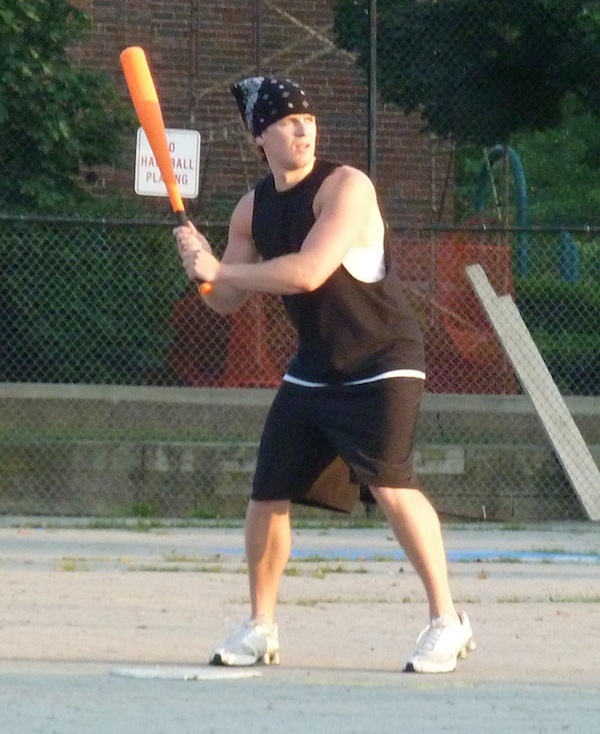 – Dinger led Cookies & Cream at the plate, going 3-for-4 with a single, 2 homers, 2 runs scored, and 2 RBI. He was the only Cookies & Cream player to collect more than one hit. 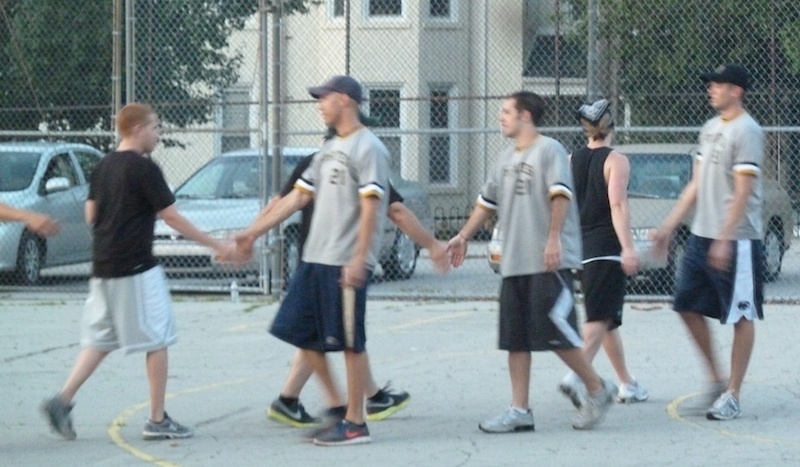 Despite a late rally, Eastbound & Dahn couldn’t extend their series with Questionable Outfit, as the Questionable offense was too much in a 10-6 series clinching victory. 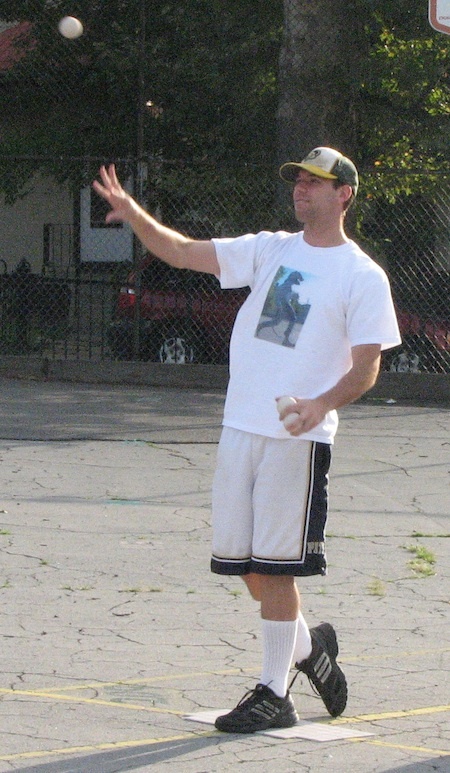 Nate, who had pitched brilliantly in Eastbound’s game 1 victory over Questionable Outfit, started on the mound in game 4. He got into trouble early, and he didn’t last long. Kimble led off the game with a single, and he scored when the next batter, Bob, crushed a two-run homer to put Questionable ahead 2-0. Morrison followed with a solo homer, and the back-to-back home runs gave Questionable a 3-0 lead before registering an out. Tom would later triple with one out, but Nate avoided further damage in the first, stranding the runner. Bob would take the hill for Questionable Outfit, and ​he got off to a much better start than Nate. Steve led off the bottom of the first with a single, but he was stranded as Bob pitched a scoreless inning. Nate bounced back in the top of the second, allowing a leadoff single to Morrison but retiring the next two batters to hold the score at 3-0. Eastbound would get on the board in the bottom of the second. With one out, Steve crushed a solo homer to left, making the score 3-1. Frosty, an EWL postseason legend making his first appearance of 2014 and his first career appearance with Eastbound, followed with a solo bomb, and the back-to-back homers cut the deficit to 3-2. Bob then retired Nate to end the inning and maintain the one-run lead. Nate got into more trouble in the top of the third, and he didn’t give himself much leeway before removing himself from the game. Morrison singled with one out, and the next batter, Reilly, crushed a two-run homer to left-center, making the score 5-2. Nate pulled himself from the mound, and Eastbound turned to Christian from the bullpen. The first batter he faced, Tom, doubled, and he moved to third when Bob followed with a single. Questionable had runners on second and third and it looked as if they would blow the game open, but Christian retired Morrison to end the inning, stranding two runners. Eastbound would chip away at the Questionable lead in the bottom of the third. With one out, Steve hit a solo homer to left, his second of the game, cutting the score to 5-3. Eastbound couldn’t add any more runs in the bottom of the third. Questionable would make up for the lost run sin the top of the fourth. Reilly led off the inning with a double and moved to third when Tom also doubled. Bob then hit a groundball to right, which Nate scooped up for an out, but both Reilly and Tom scored on the play. Christian retired the next batter, Morrison, but Questionable had extended their lead to 7-3. Bob breezed through the bottom of the fourth, retiring the side in order. Questionable would add more to their lead in the top of the fifth. Tom singled with one out, and Bob followed with his second two-run homer of the game, moving the score to 9-3. Morrison would follow with a single, but Christian retired Reilly to avoid further damage. Down 9-3 and with their season slipping away, Eastbound showed heart in the bottom of the fifth inning. Steve led off the inning with a solo homer, his third bomb of the game, cutting the score to 9-4. Frosty followed with a triple, and with one out, Christian lined a two-run homer to right field, making the score 9-6. Steve came back to the plate with one out, but couldn’t hit a fourth homer in as many at-bats, and Bob escaped with a three-run lead. Tom led off the top of the sixth with a triple, and he scored when Bob hit a sacrifice fly, making the score 10-6. Morrison and Reilly each followed with one out singles, and it looked as if Questionable would put the game away for certain, but Christian retired Tom, stranding both runners. Trailing four runs and down to their last two outs of the 2014 season, Eastbound couldn’t put together another rally in the bottom of the sixth. Frosty flew out to Bob for the first out of the inning, and Nate grounded out to Tom in left for the second out, ending the game and giving Questionable Outfit a 10-6 win. 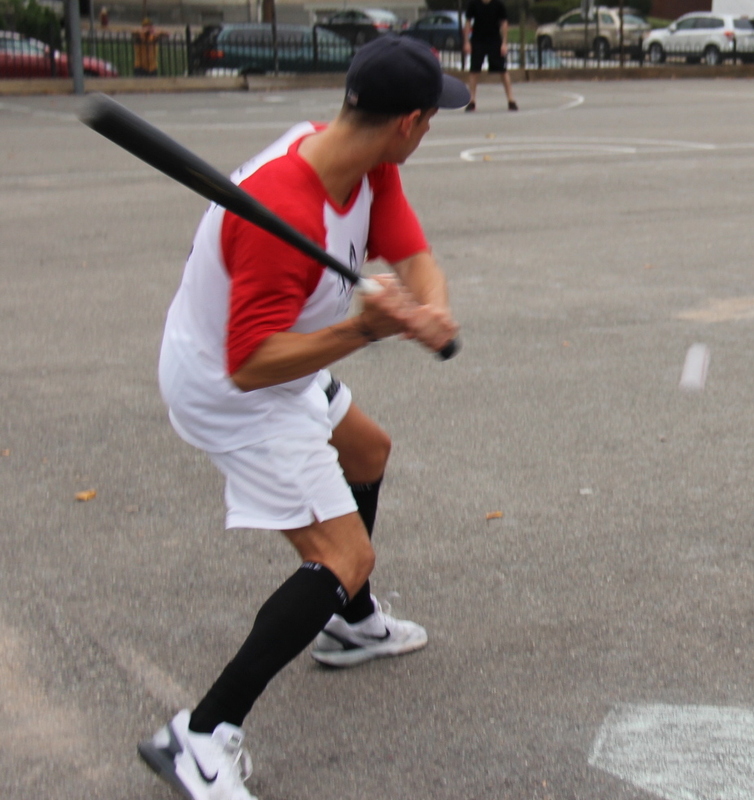 Questionable Outfit had won the best-of-five first round series 3 games to 1, clinching a spot in the Wiffle Series for the second consecutive season. They will face their rival, Cookies & Cream, in a rematch of last year’s final. 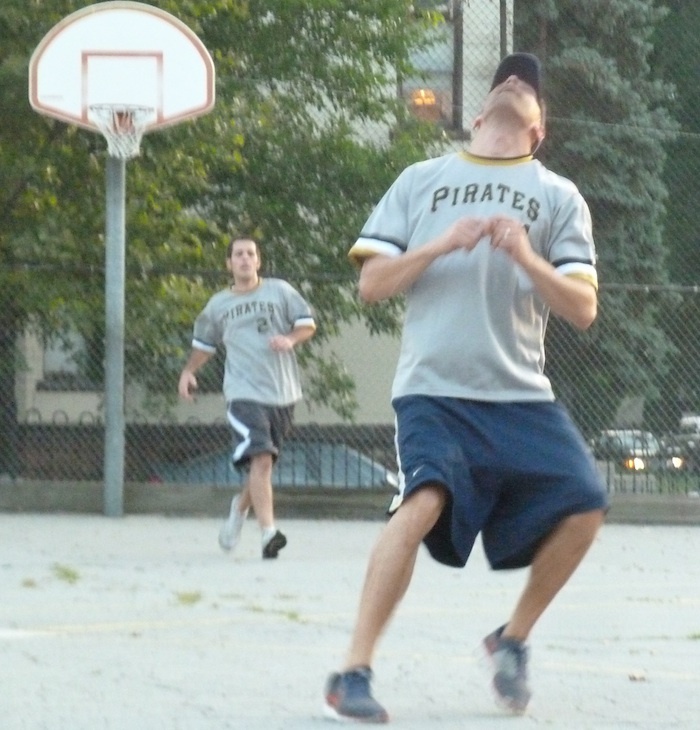 After taking Cookies & Cream to the brink in round 1 of the 2013 playoffs, Eastbound & Dahn bowed out early again in 2014. 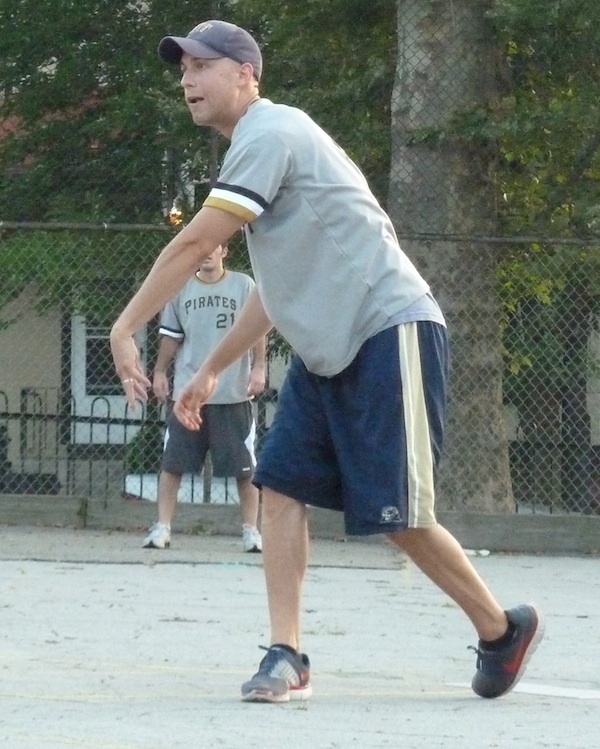 – Bob picked up the complete game win for Questionable Outfit, allowing 6 runs on 7 hits in 6 innings pitched. 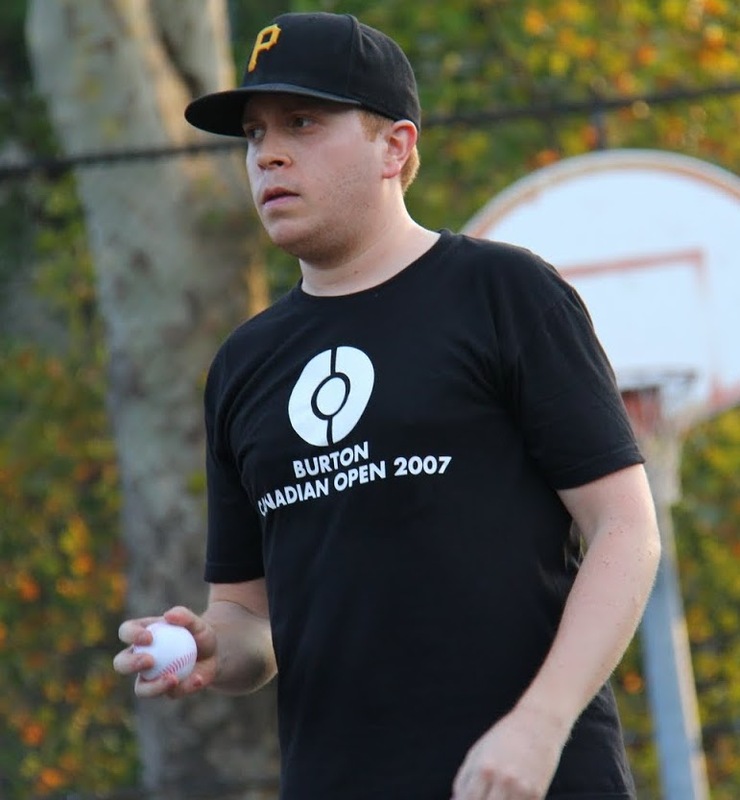 – Nate took the loss for Eastbound & Dahn, giving up 5 runs on 7 hits in 2.5 innings. Christian pitched 3.5 innings of relief, allowing 5 runs on 10 hits. – Bob tied an EWL playoff record with 7 RBI in the game. He went 3-for-6 with a single, 2 home runs, 2 runs scored, and 7 RBI. 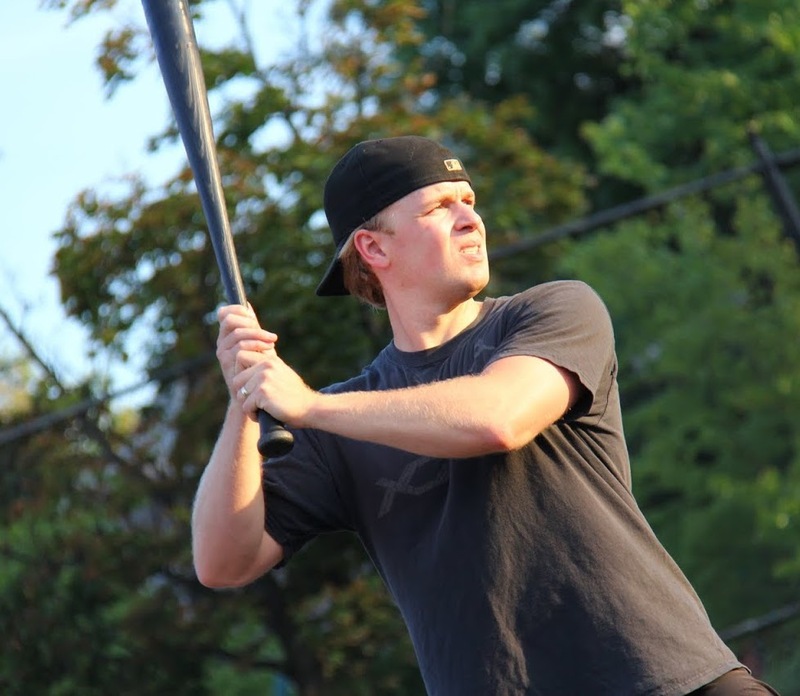 – Tom tied an EWL playoff record with 2 doubles in the game. He went 6-for-8 with 2 singles, 2 doubles, 2 triples, and 4 runs scored. – Morrison went 5-for-7 with 4 singles, a homer, 2 runs scored, and one RBI. 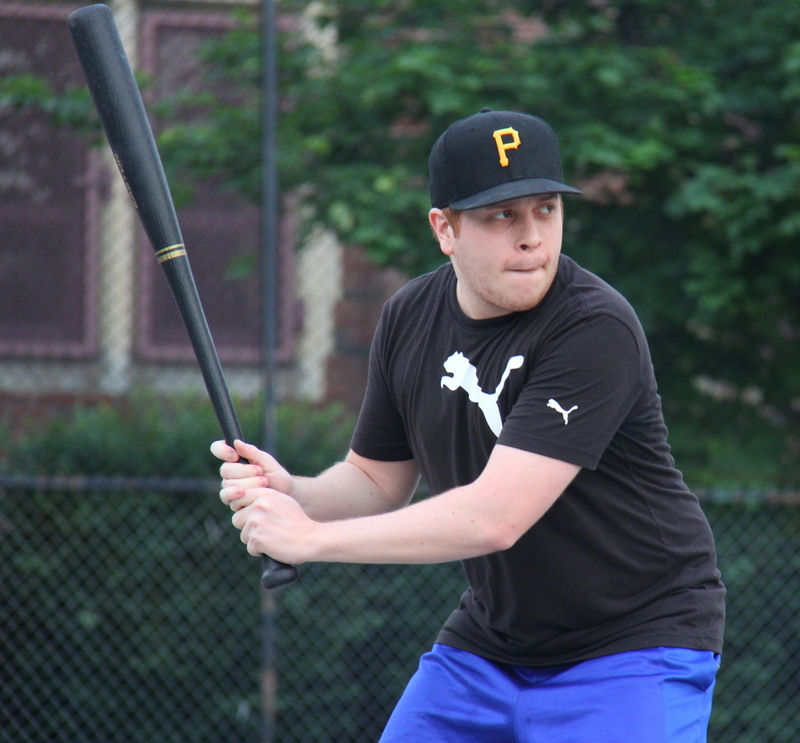 – Steve led Eastbound & Dahn on offense, going 4-for-5 with a single, 3 homers, 3 runs scored, and 3 RBI. 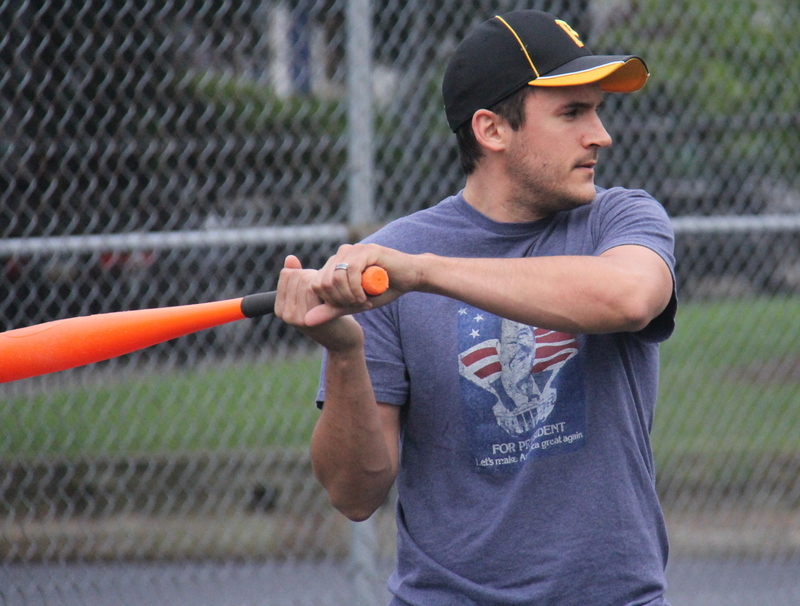 Anthony went 3-for-4 including a triple and two homers, along with all 4 Ham Slams RBI, to carry the Slams past Cookies & Cream 4-3 and force a pivotal game 5 matchup to determine who will advance to the 2014 Wiffle Series. 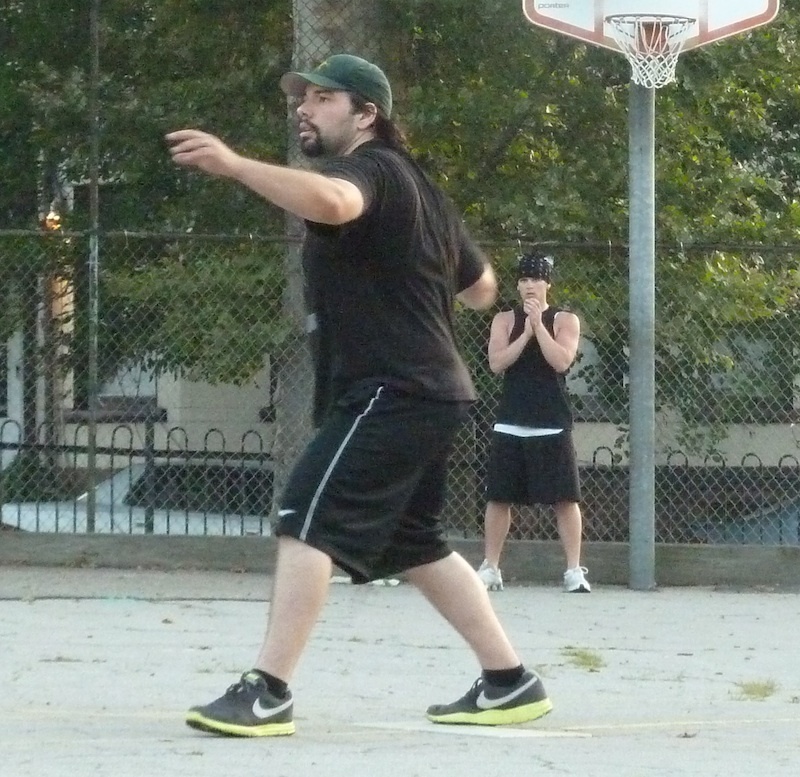 Down 2-1 in the best-of-five series, the Ham Slams continued to roll with their ace, Charlie, on the mound. 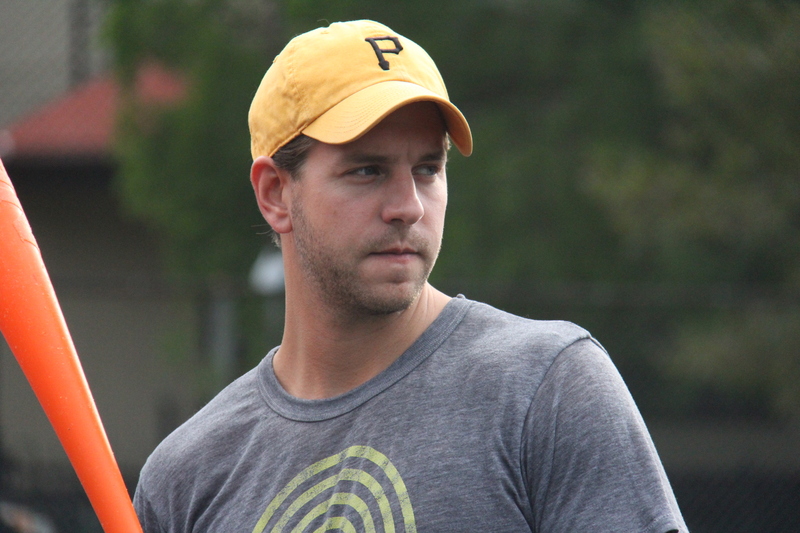 Their stars, Anthony and Steve, were in the lineup along with Riley, who had made a handful of appearances for the Slams throughout the 2013 and 2014 regular seasons. Charlie gave up a single to Guthrie to lead off the top of the first, but he retired the next two batters, standing the runner and ending the inning. 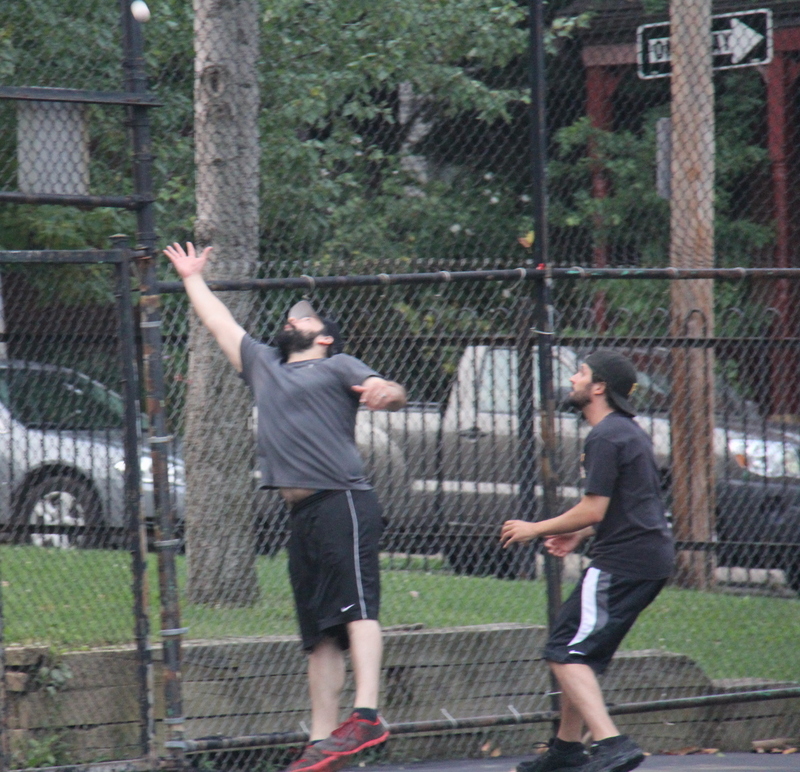 Due to a scheduling conflict, Cookies & Cream entered the game without their best player and MVP candidate, Blose. Dinger, who pitched a great game despite taking the loss in game 2, started on the mound. The Ham Slams first batter, Anthony, tripled off the fence to lead off the game. 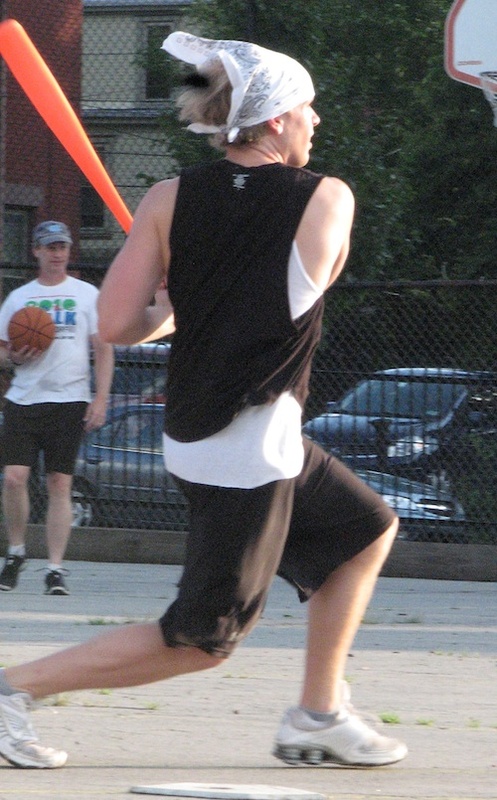 The next batter, Steve, hit a towering fly ball to center field. Joey caught it for the out and relayed the ball to the mound to attempt to retire Anthony, who had tagged up in an effort to score a run on a sacrifice fly. Anthony crossed home before the throw made it to the mound, but the umpires and attending players ruled that he had left third early prior to the ball being caught, and he was called out for the second out of the inning. Dinger led off the top of the second with a single, and after Charlie retired Guthrie, Vassallo singled to put runners on first and second with one out. Cookies & Cream couldn’t capitalize, however, as Charlie got Joey to fly out to deep center for the second out of the inning, once again stranding both runners. The Ham Slams would open up a lead in the bottom of the second. Charlie led off the inning with a single to left, and he moved to second when Riley followed with a single. With no outs and two men on base, Anthony crushed a towering home run to left-center. The three-run homer put the Ham Slams ahead 3-0. Dinger would retire the next two batters, but the damage had been done. Dinger led off the top of the third with a single, but Charlie continue to strand Cookies & Cream runners, sending Guthrie and Vassallo down in order to end the inning. Riley was retired to start the bottom of the third, but Anthony followed with a solo shot to center, his second homer in as many at-bats. Dinger retired Steve for the second out, and the Ham Slams were up 4-0 and halfway to a game 4 win. Charlie continued to roll in the top of the fourth, retiring the side in order to maintain the four run lead. Dinger pitched his first perfect inning in the bottom of the fourth, retiring Charlie and Riley consecutively. Down 4-0, Cookies & Cream would cut into the Ham Slams lead in the top of the fifth. Guthrie led off the inning with a single and moved from first to third when Vassallo followed with a single. With no outs and runners on first and third, Joey hit another deep fly to center. Guthrie tagged up and scored on the play, and the sacrifice fly made the score 4-1. Dinger then came to the plate and hit a two-run homer to right field, and the score was 4-3. Charlie retired the next batter, Guthrie, to end the inning, but the Slams lead had been cut from four runs to one. Dinger cruised through the bottom of the fifth, retiring the Slams two most potent hitters, Anthony, for the first time this game, and Steve. Down to their final at-bat and needing a run to to extend the game, Cookies & Cream couldn’t muster any offense in the top of the sixth. 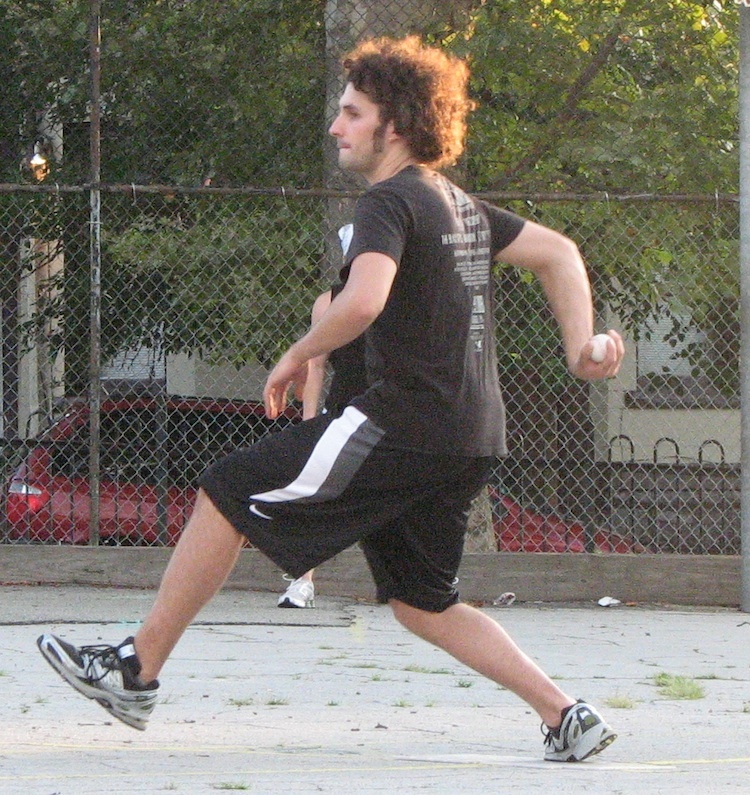 Charlie remained in the game, and he retired Vassallo and Joey in order to end the game. The 4-3 win saved the Ham Slams season and tied the first round series at 2-2. 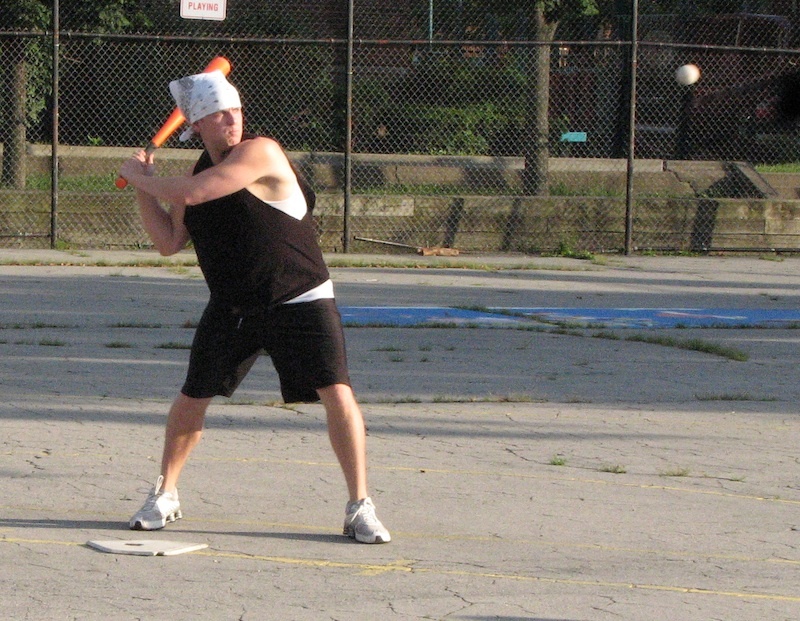 The deciding game of the best-of-five series will be played Thursday, July 24th at the wiffle diamond. 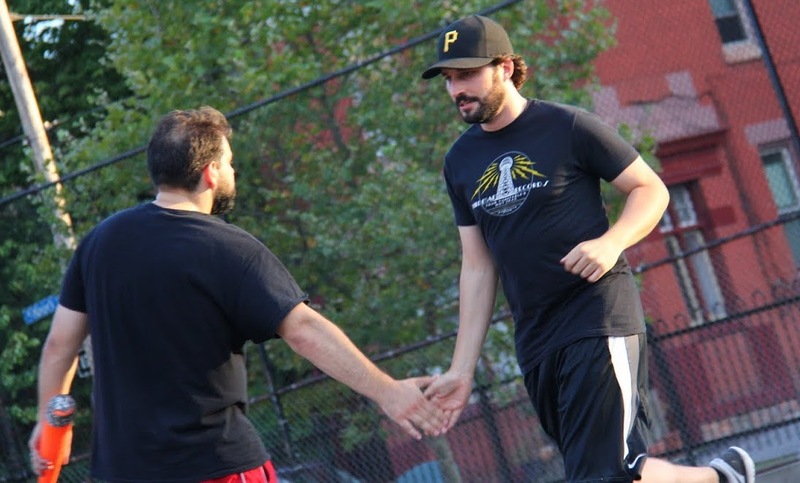 – Charlie pitched the complete game win for the Ham Slams. He scattered 7 hits, stranding Cookes & Cream runners while allowing only 3 runs in 6 innings pitched. – Dinger took the complete game loss for Cookies & Cream, giving up 4 earned runs on 5 hits in 5 innings pitched. – Anthony led the Slams at the plate, going 3-for-4 with a triple, two home runs, two runs scored, and 4 RBI. 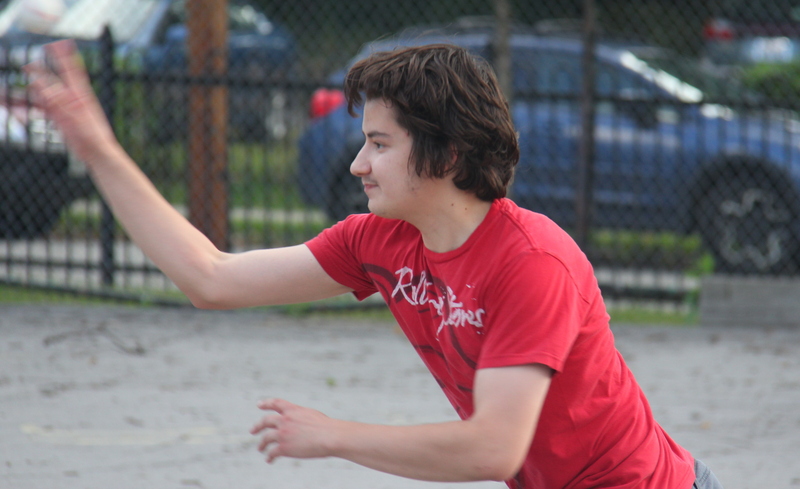 – Charlie and Riley also singled and scored runs for the Ham Slams. – Dinger led Cookies & Cream at the plate, going 3-for-4 with two singles, a home run, a run scored, and 2 RBI. – Vassallo and Guthrie each hit two singles for Cookies & Cream. 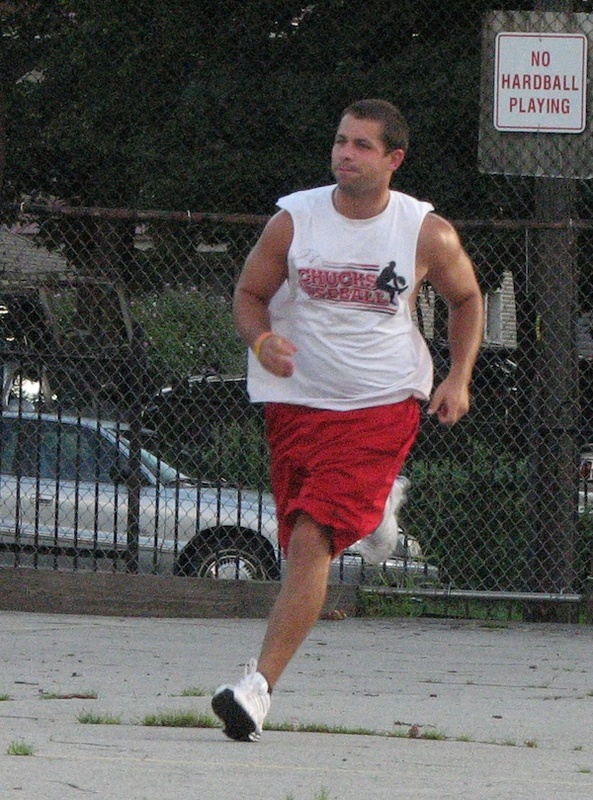 Led by Blose and Vassallo, the Fish Sticks came back from an early deficit to beat the Caucasian Vaginas in extra innings and pull within one game of clinching the 2011 EWL Wiffle Series Championship. 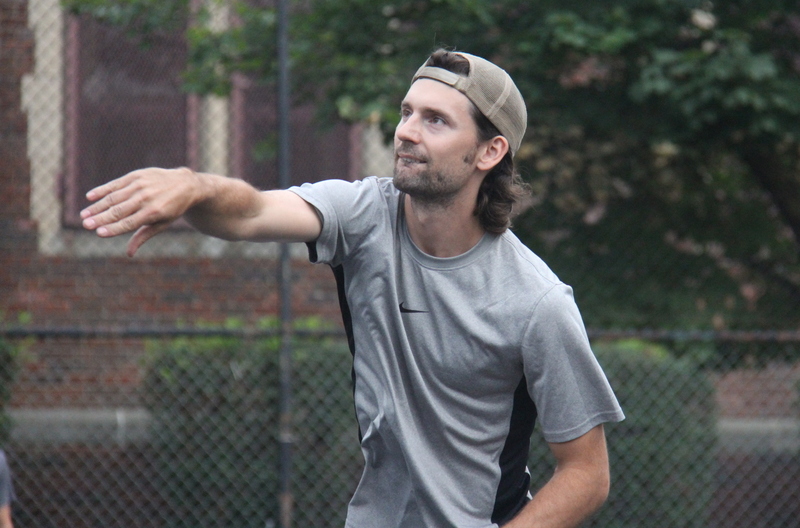 After dropping Games 1 and 2 with little offensive output, the Caucasians resurrected in Game 3 of the Wiffle Series, pounding the Fish Sticks 10-0 and putting themselves back in contention. The Caucasians surprisingly didn’t start their ace, 2011 Pitch King Guthrie in Game 3, but instead turned to Higgins who pitched a complete game shutout. With Higgins out for Week 2 of the Wiffle Series and replaced by Frosty who missed Week 1, the Caucasians went back to their proven star, starting Guthrie on the mound in Game 4. The Fish Sticks #1 starter Dinger was hit hard in Game 3, and Joey started on the mound in Game 4. After giving up only 1 earned run in a complete game win in Game 2, Joey seemed to have the Caucasians confused. 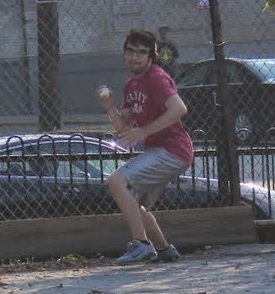 But something changed in the top of the first inning of Game 4, as the Vaginas hit Joey hard and jumped out to an early lead. Joey retired Guthrie for the first out of the inning, but then the Caucasians opened up offensively like they did in Game 3 against Dinger. Morrison clubbed a one-out solo homer, putting the Caucasians up 1-0. The next batter, Frosty, followed with another bomb, and the Caucasians were up two runs. 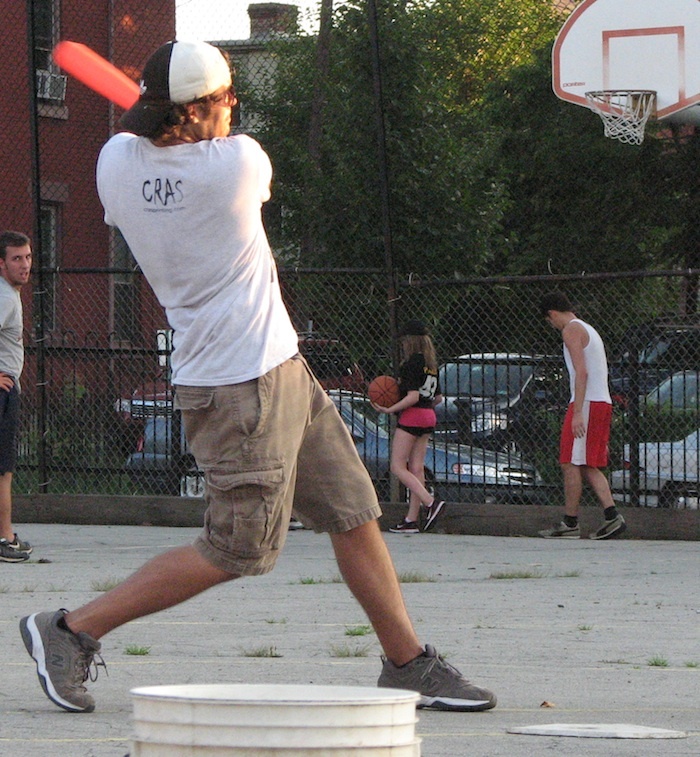 Les, batting fourth for the Caucasians, followed with yet another homer, and the Caucasians had hit back-to-back-to-back home runs for the second consecutive game. The Fish Sticks were reeling early, and the Caucasians looked to be on the way to evening up the series at 2-2 and reclaiming momentum. Up 3-0 with one out, Guthrie singled to extend the rally, but Joey retired Morrison for the second out of the inning, stranding Guthrie at first and ending the first inning barrage of runs. 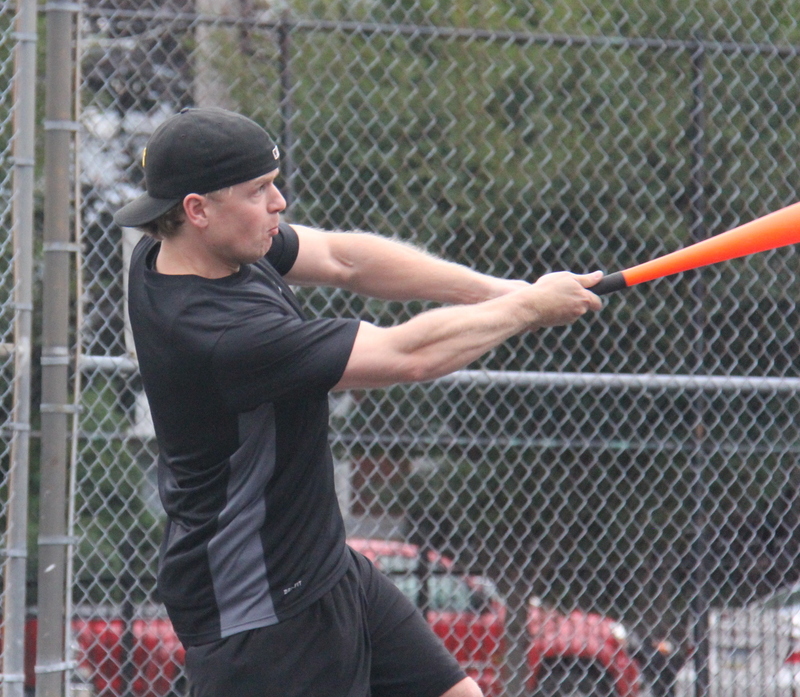 Guthrie gave up two homers to Blose in Game 1, including a leadoff homer to start the Wiffle Series. Blose didn’t take him deep to start the bottom of the second, but he did single, and the Fish Sticks had a base runner hoping to reduce their early deficit. Dinger grounded out to left for the first out, pushing Blose to second on the play. With a runner in scoring position, Joey was unable to plate a run, grounding out to left for the second out of the inning. Joey regained composure in the top of the second, retiring Frosty and Les in order for a scoreless half-inning. Down three, the Fish Sticks showed sparks of life in the bottom of the second. Vassallo led off the inning with a solo home run, pulling the Fish Sticks within two runs. With no outs, Blose continued to scorch Guthrie, hitting a solo home run to deep right field, making the score 3-2. The Fish Sticks couldn’t match the Caucasians back-to-back-to-back homers though, as Guthrie retired Dinger and Joey in order to end the second. The Caucasians still had the lead, but were unable to add to it in the to of the third. Guthrie and Morrison were retired consecutively and Joey had retired four straight batters after the disastrous first inning. Guthrie continued to struggle in the bottom of the third, as history started to repeat itself. One inning after hitting back-to-back jacks, Vassallo and Blose did it again. Vassallo led off the inning by crushing a homer to left field, and Blose followed with another homer. Blose and Vassallo were a combined 5 for 5 at this point with 4 home runs. 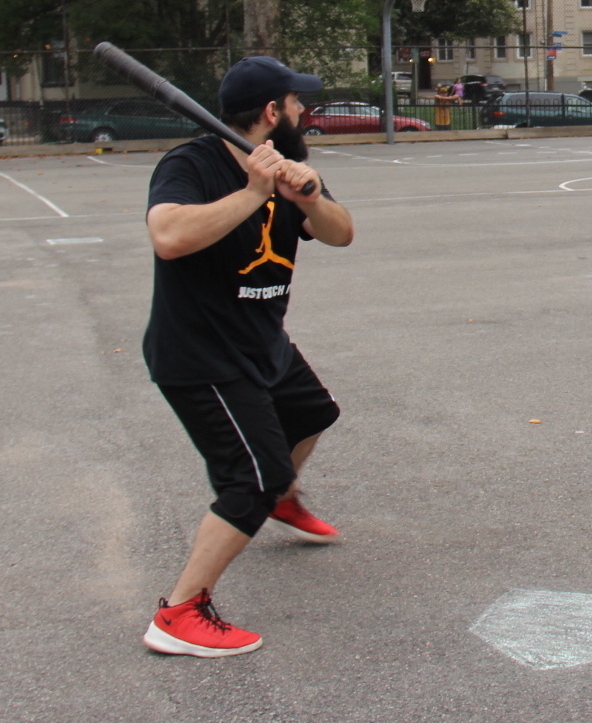 The Fish Sticks had regained the lead after falling behind in the first inning, and the score was 4-3. Guthrie again retired Dinger and Joey in order to get out of the inning, and the Caucasians headed into the fourth inning down a run. Frosty led off the top of the fourth with a single, his second hit of the game and the first Caucasian hit since the first inning. But Les and Guthrie were both retired by Joey at the mound, as Frosty was unable to advance past first base and the Caucasians still trailed. Vassallo was finally retired in the bottom of the fourth, as he led off by grounding out to right field. Guthrie followed by retiring Blose, and he had pitched his first perfect inning of the game. Morrison led off the top of the fifth by grounding out to left field, and the Caucasians were three outs away from dropping another game. But with one out, Frosty hit a deep solo home run, his third hit of the game, tying the game at 4-4. After cruising through the past three innings, Joey started to show signs of weakness. Les followed with a out-out single, and the next batter, Guthrie, doubled. Les was unable to score on the play, but the Caucasians had two runners in scoring position, and the go-ahead run on third base. Their best hitter, Morrison, was at the plate, but his struggles in Game 4 continued. He grounded out to left field, stranding both runners, and the game remained tied at 4-4. Guthrie kept rolling in the bottom of the fifth, retiring Dinger and Joey in order, his fifth and sixth consecutive outs. The game entered the final inning tied at 4-4. Despite getting hit in the fifth inning, Joey stayed in the game on the mound for the Fish Sticks. He retired Frosty and Les in order, putting the Fish Sticks a run away from winning the game in the bottom of the sixth. The Fish Sticks couldn’t start a rally, however, as Guthrie sent Vassallo and Blose down consecutively, each by groundout, forcing the game into extra innings. Joey continued pitching for the Fish Sticks, and he got Guthrie and Morrison to each groundout to Blose in center field in the top of the seventh. Guthrie kept firing for the Caucasians, and he extending the game to an eighth inning after retiring Dinger in Joey in order. Frosty led off the top of the eighth, and became the first player in league history to call himself out. With two strikes, he hit a pop fly in foul territory behind the plate. 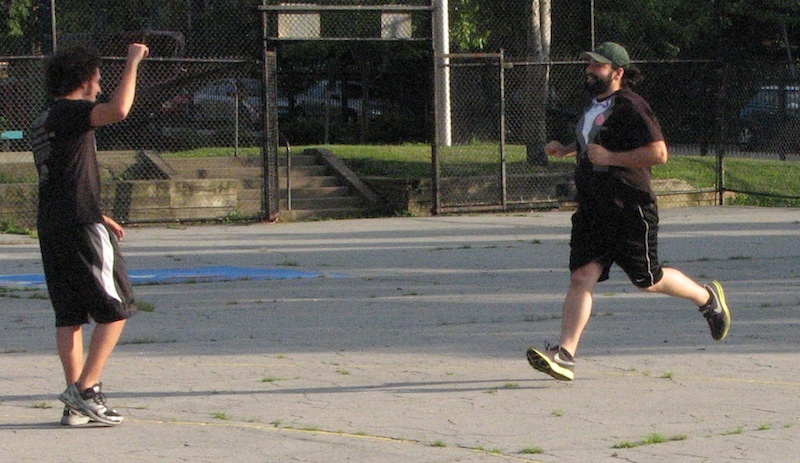 Joey raced from the mound to attempt to make the catch, and Frosty didn’t get out of the way. In a stunning act of sportsmanship, he called himself out, resulting in the first out of the inning. Joey then retired Les to end the eighth, and the Caucasians were unable to plate a run. Joey had reached his eight inning pitch limit, and the Fish Sticks would have to turn to a new pitcher if the game went to the ninth inning. The bottom of the eighth would be Guthrie’s final inning on the mound too, two outs away from reaching his limit. But neither team would have to deal with their bullpen, as the Vassallo would cap an incredible game at the plate with his second walk-off home run in the 2011 EWL Playoffs. 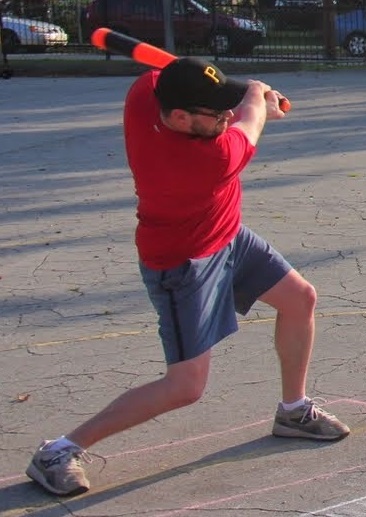 After taking several pitches, he hit a low-flying laser beam to left field. The fly ball would have been foul, but it clipped the lowest hanging leaf on the left field tree, making it fair. The ball hit the leaf and fell just over the fence, and Fish Sticks had won Game 3. 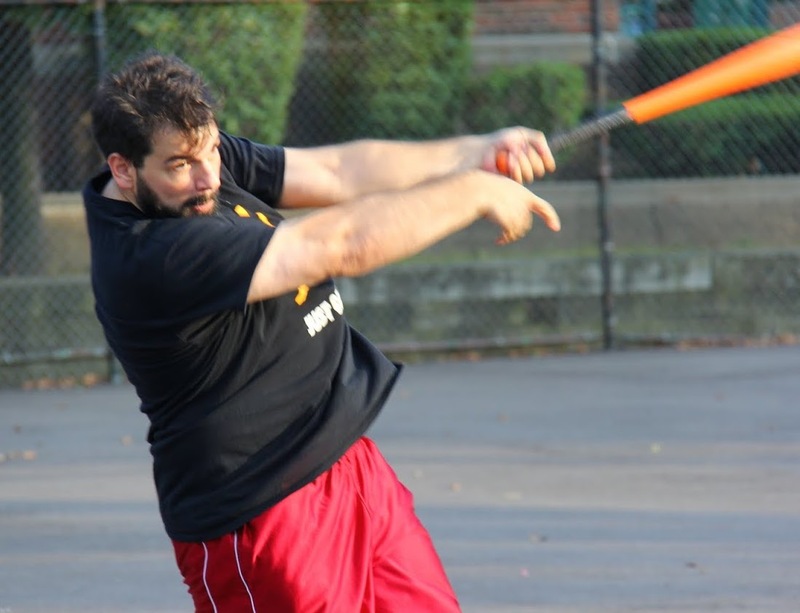 Vassallo had hit his third home run of the game, shocking the Caucasians and uplifting the Fish Sticks. 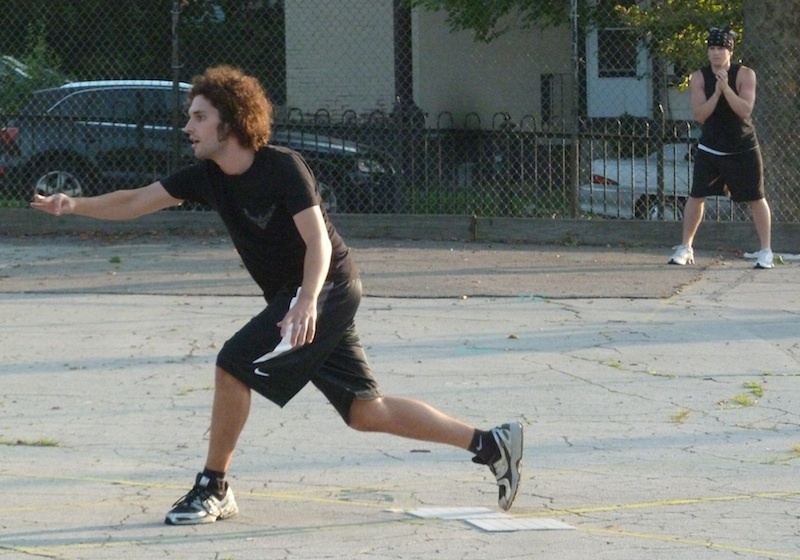 The Fish Sticks had assumed a commanding 3-1 series lead and were now one win away from clinching the championship as the series moved to Game 5 with the Caucasians at home. – Vassallo and Blose led the Fish Sticks offensively. Blose went 3-5 with 2 HR, a single, 2 runs scored, and 2 RBI. Vassallo went 3-5 with 3 HR, 3 runs scored, 3 RBI, and the game-winning hit. – Dinger and Joey combined to go 0-10, and were the first and second outs in five of the game’s eight innings. – Joey pitched 8 innings for the complete game victory, giving up 4 ER on 8 hits. 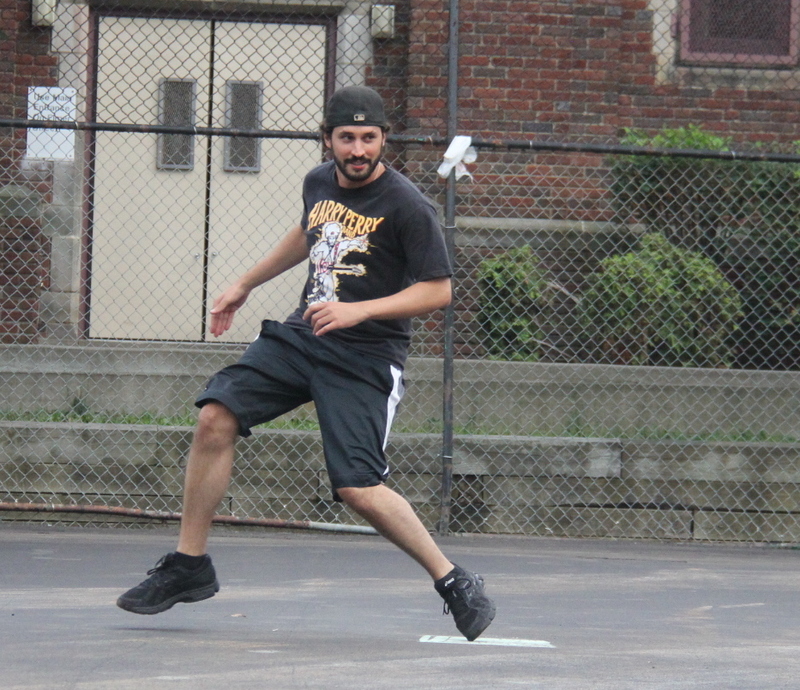 Joey moved to 2-0 for the Wiffle Series and 3-0 in the playoffs on the mound. – Guthrie pitched 7 innings in the loss, giving up 5 ER on 6 hits. 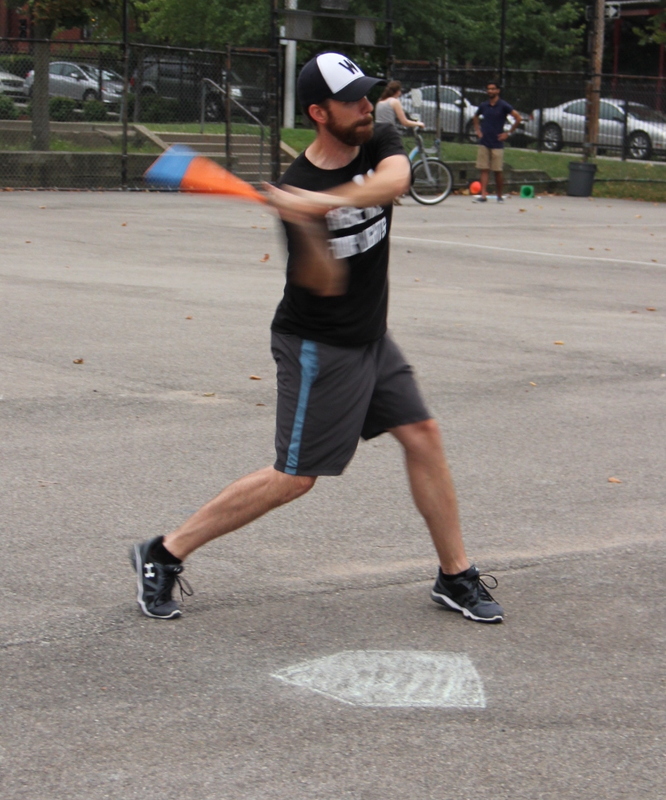 Guthrie moved to 0-2 in the Wiffle Series and 2-2 in the playoffs. – Frosty led the Caucasians offensively, going 3-6 with a single, 2 HR, 2 runs scored, and 2 RBI.